Southern’s QB isn’t worried about who will fill his playmakers’ shoes. Austin Howard knows what its like to be a young guy coming in after a legend. In 2014, Howard took over the reigns of quarterback at Southern as it came off a championship season under quarterback Dray Joseph. 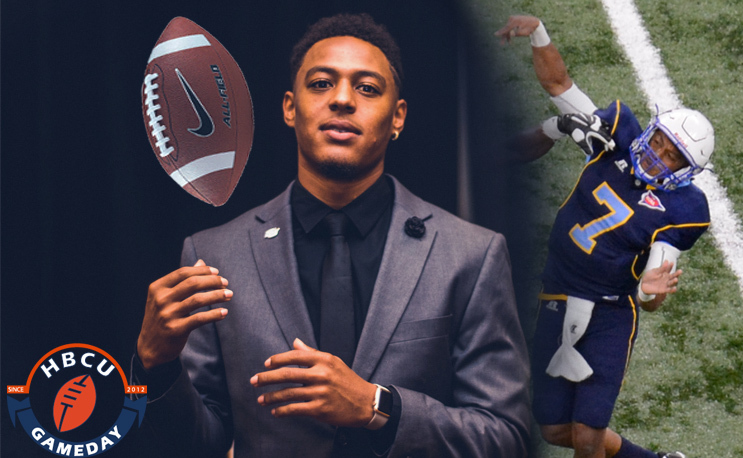 Joseph not only led SU to the SWAC title in 2013, he did it in spectacular fashion, throwing for 30 touchdowns in his final season in Columbia and Gold. Howard arrived on his heels, just like he did at West St. John High School. Three years later the buttery tongued quarterback is hoping to go out on top like his predecessor. He’s been to the SWAC Championship Game once, as a freshman, but if he’s to do it again he’ll have to do it without two players who have been his go-to-guys during his stellar career: running back Lenard Tillery and receiver Willie Quinn, both of whom exhausted their eligibility following the 2016 season. That certainly has been the case with Howard. Through the first 35 games of his career he’s completed a solid 58 percent of his passes for 62 touchdowns to just 20 interceptions. The last two seasons, however, his season has ended in New Orleans as back-to-back loses to Grambling in the Bayou Classic have sent his team home while his rivals went on to play for the SWAC title, and last season, the Celebration Bowl. “We’re not really worried about what happened last season,” Howard said. “Of course we fell short, people know that already so why dwell on those things when we have a new opportunity in front of us. Howard and Southern will open up the season against South Carolina State in the MEAC/SWAC Challenge in Baton Rogue. The message he will give his young troops will be a simple one. That talk holds a lot more water considering the young man has done that his entire career. Awesome interview, . Go Jags!